Each year Washington’s Lottery announces its “Luckiest Retailers”– the retail locations that have sold the most tickets worth prizes over $1,000. 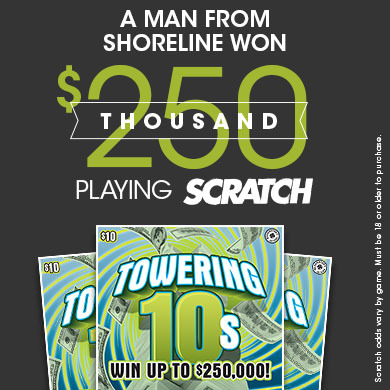 This year Washington’s Lottery is now including draw games (previously only Scratch was included). 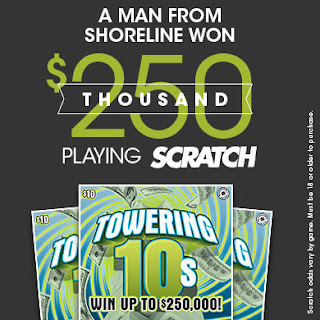 The Safeway at 7300 Roosevelt Way NE in Seattle is the “Luckiest Retailer” in the South Puget Sound region with 22 big wins. WASHINGTON’S LOTTERY: Since 1982, Washington’s Lottery has generated more than $4.2 billion to support important state programs including the Washington Opportunity Pathways Account. Money in the Pathways Account goes toward helping students achieve their higher education dreams and supports early childhood education learning programs. The state’s Lottery offers consumers several types of games: Mega Millions, Powerball, Lotto, Hit 5, Match 4, Daily Game, Daily Keno and Scratch. Does the state also release the number of tickets sold at each "lucky" outlet? That would make a difference for me in deciding from whom I should purchase my winning ticket.